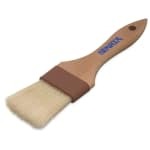 The Carlisle 4037400 Sparta® wide flat brush can baste meats or apply pastry washes. The brush features waterproof, high-quality boar hair bristles that can resist temperatures as high as 500 degrees Fahrenheit and are bleached, sterilized, and double-boiled for sanitation purposes. 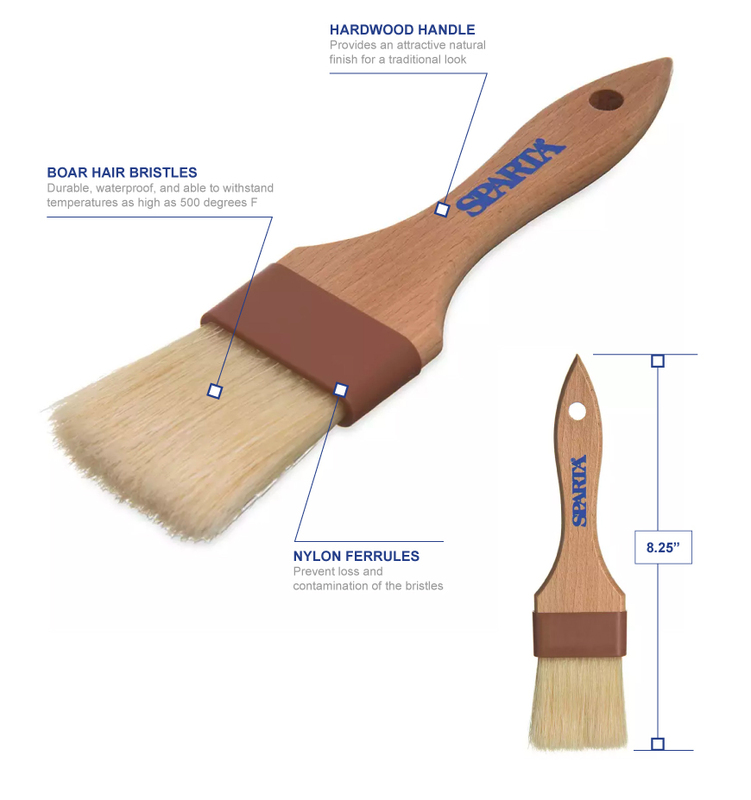 These bristles are epoxy-set in brown nylon ferrules to prevent loss and contamination. Covered with a natural finish, the Carlisle 4037400 Sparta wide flat brush has a handle that is made of lacquered hardwood.